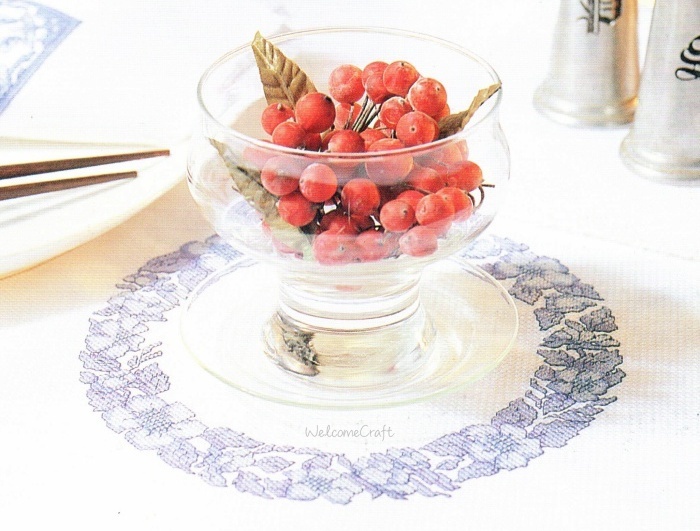 Table Cover Cross Stitch and Pattern Take a look at the picture and get some ideas to craft your own way. 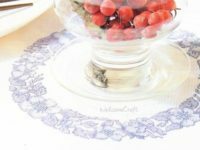 A little background of Cross Stitch Cross-stitch is a form of sewing and a popular form of counted-thread embroidery in which X-shaped stitches in a tiled, raster-like pattern are used to form a picture. The stitcher counts the threads on a piece of even weave fabric (such as linen) in each direction so that the stitches are of uniform size and appearance. 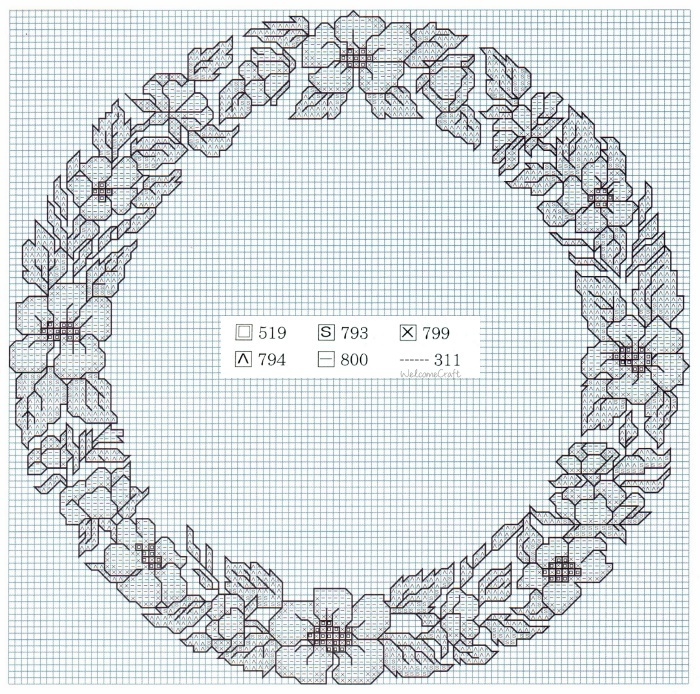 This form of cross-stitch is also called counted cross-stitch in order to distinguish it from other forms of cross-stitch. Sometimes cross-stitch is done on designs printed on the fabric (stamped cross-stitch); the stitcher simply stitches over the printed pattern. Cross-stitch is also executed on easily countable fabric called Aida cloth but the threads are not actually counted.